Traveling along the MRT train tracks between Buona Vista MRT station and Commonwealth MRT station, I will never miss the sight of the cemetery beside the HDB blocks of Holland and Commonwealth area. It never occur to me that this location had a very strong history and heritage, representing the Hakka community in Singapore. This is the Ying Fo Hui Jun Ancestral Temple, dating back to 1887, by the Hakka clan, Ying Fo Fui Kun, as a burial ground for kinsmen from Jia Ying prefecture in Canton, China. 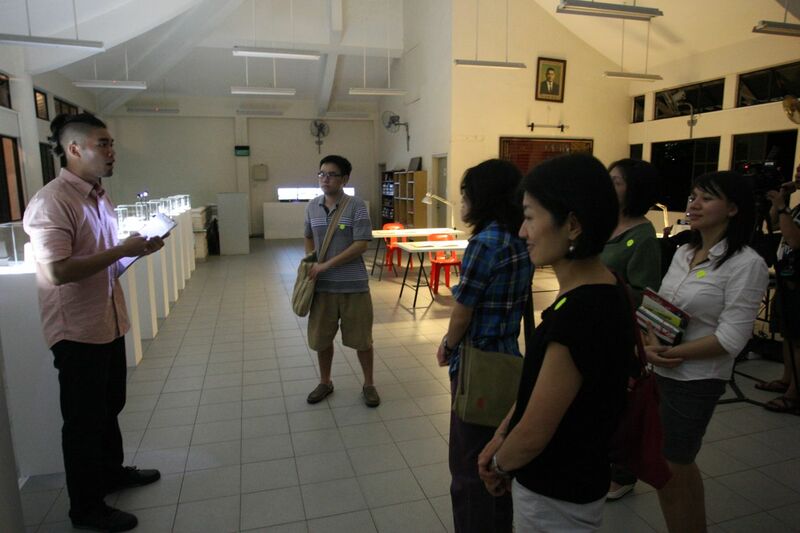 Today, as part of Singapore Arts Festival 2012, Ying Foh Kuan plays host to their Hakka roots and history chronicles – 兰芳记 Lan Fang Chronicles 2012 (Installation Performance) as part of the festival’s 2012 theme – “Something Ancient – Something Lost – Something Hidden – Something New“, representing the history and investigations of the 18th century Lan Fang Republic, founded by Hakka Chinese in West Borneo. The Lan Fang Republic was the first democratic republic in South East Asia, founded by Luo Fang Bo in 1777 and reigned for 107 years before the Dutch came in 1884, ending the Lan Fang Republic. The descendants fled across the region to other parts of South East Asia to Sumatra, Kuala Lumpur and Singapore. 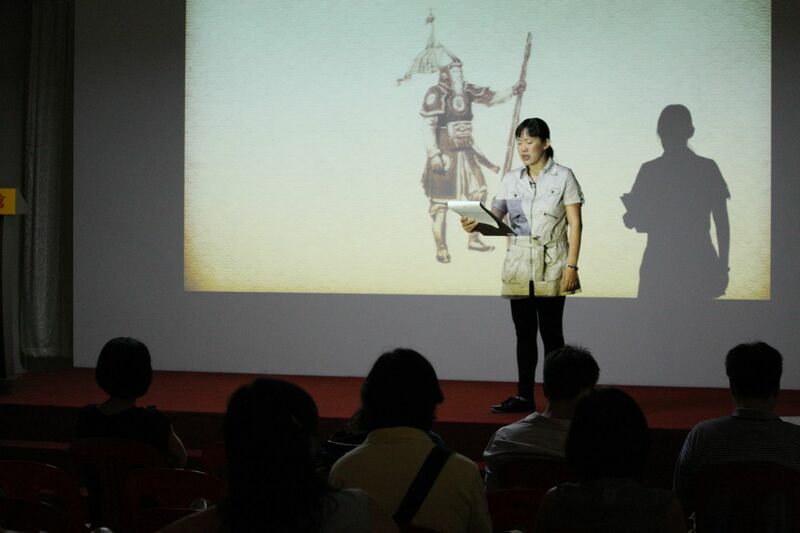 Before we went into “classes” to learn about the 5 “Chapters”, we were given a short yet very interesting introduction and closing, the prologue and epilogue by Serene Chen on the history of Lan Fang Chronicles and its origins, with videos, interviews, research, traveling and documentation. Watching a documentary inspired by the poem written by Luo Fang Bo, the founder of Lan Fang Republic. It’s about a practice of exorcising the crocodiles that metamorphosis into different versions in the folklore culture today. It was quite an interesting documentary to watch! A beautiful collection of artifacts, they are speculative and inspired by the works of Dutch Sinologist J.J.M De Groot, who published the earliest known and most comprehensive western documentation of the Lan Fan Republic in 1885. 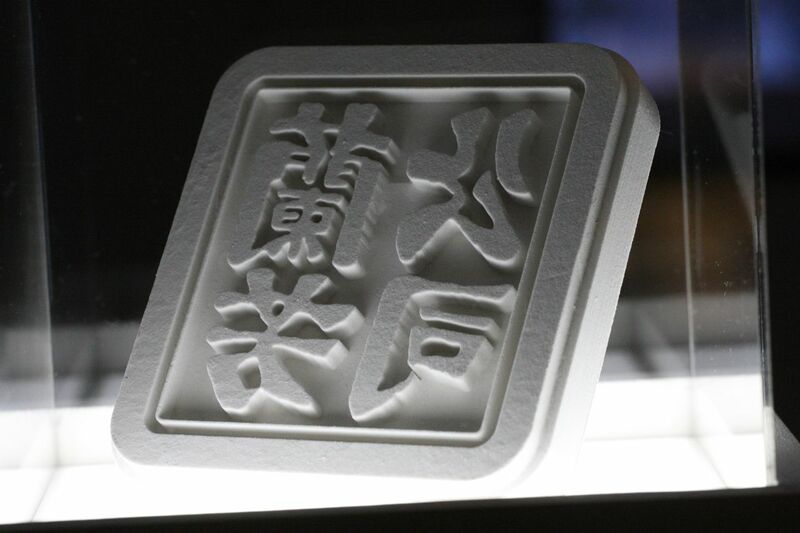 Every artifact there on display has a story, significance and timeline behind the sequence of artifacts display, that is brilliantly shown in our host’s (Bright Ong) display of emotions, words and thoughts. The beautiful collection artifacts are available for you to own too, if you are keen to own it! You have to visit the installation to take a close look at the beautiful artwork! Being a photographer, this is my favourite Chapter! I was totally blown away by the photography collection of the Lan Fang Republic, along with the maps, sketches and documents. Not only were they well preserved, the vintage and quality of the photographs are beyond words and it lives up to the tagline of “A Picture Speaks a Thousand Words”. 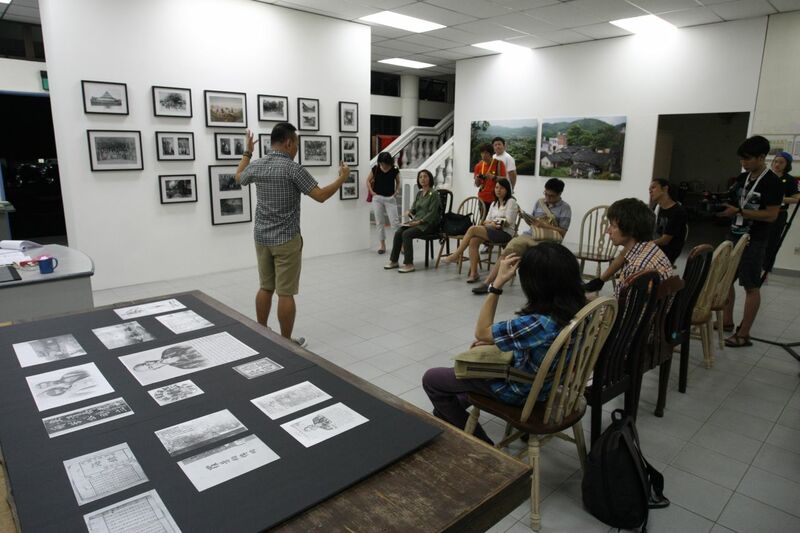 Our host for this Chapter, Yak Aik-Wee was excellent in bringing life and emotions into the photographs, maps, sketches, ensuring our attention are glued to the photography collection. For a photography and history fan, you will love this Chapter ! Entering a holy place inside Ying Foh Kuan, it’s the Ancestral Hall, where memories and stories from the visitors dairies to the Lan Fang Republic. 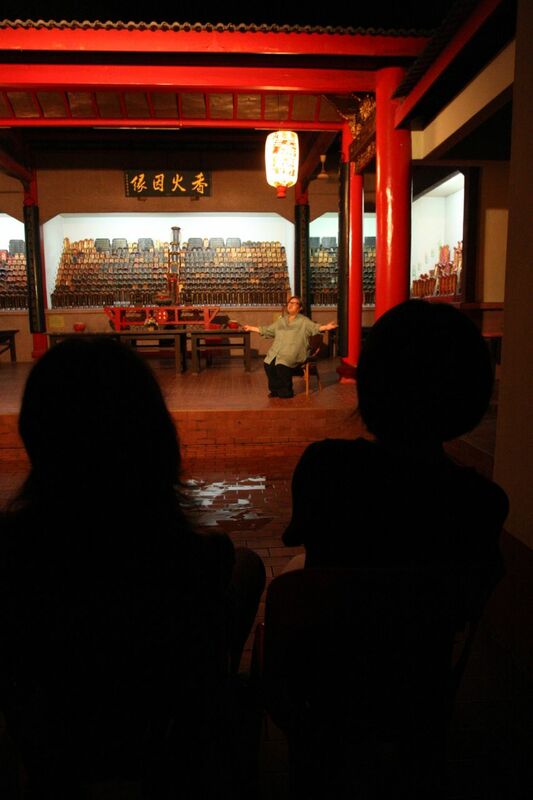 The ambience, peacefulness and tranquility setting of the Ancestral Hall suits the story telling recital perfectly, creating an imaginary scene of the days during the Lan Fang Republic, whereby daily activities, festivities and practices were shared and told across towards the attentive audience inside the hall. The recital was performed by Lok Meng Chue, who hosted and shared here warmth and passion across the audience at the Ancestral Hall. Set at the outside, under tall trees and facing the Hakka cemetery in the background, this Chapter got me glued to my host’s (Najib Soiman) extremely powerful and strong performance, with loud voice and singing, echoing into the dark background of the Hakka cemetery, flanked by the HDB flats of Holland Avenue area. It was a poetry recital based on the original Malay poem, Syair Perang Cina di Mandor – “Story of the Chinese Wars in Mandor”, written by an anonymous author in 1853, telling the stories of the start of the decline of the Lan Fang Republic in the last 30 years. With my very limited knowledge and command of the Malay language, I wasn’t able to understand many of the poetry and recital words and sentences. However, it was a very powerful performance that blew me away, I felt the passion and emotions, flowing through him and his recital, and I ended up not taking any photographs at all, I was just basically glued to my host’s performance. Simply put, if a performance can make a photographer put aside their equipment and glued to them, it speaks enormous volume about the performance and performer. From the Director’s (Choy Ka Fai) Note, this project is not meant to depict historical events, instead it is to recollect and reflect the mysteries, history, fame, significance, combining them with myths, stories, memories and different fragments to showcase the experiences, an era and a universe that is now forgotten. After experiencing all the 5 Chapters above, combining history, facts, stories, fiction and myths, it was an absolutely mind-stirring, intriguing and mesmerising adventure, like a history and heritage school student taking in 5 Chapters of history, play, facts and myths within 2 hours. Yet, I am still hungry to know, understand and explore more about Lan Fang Chronicles. Support Habitat-Barclays Bare Your Sole 2012 on 2nd June !